While its sleepy, canal-laced towns are beloved by tourists, much of the action in the Netherlands is concentrated in its top 10 most populous cities. From the metropolises of the Randstad (a densely populated arc of cities in the western Netherlands) to the industrial cities of the south - as well as outliers to the north and east - find out what the country's top 10 cities have to offer. 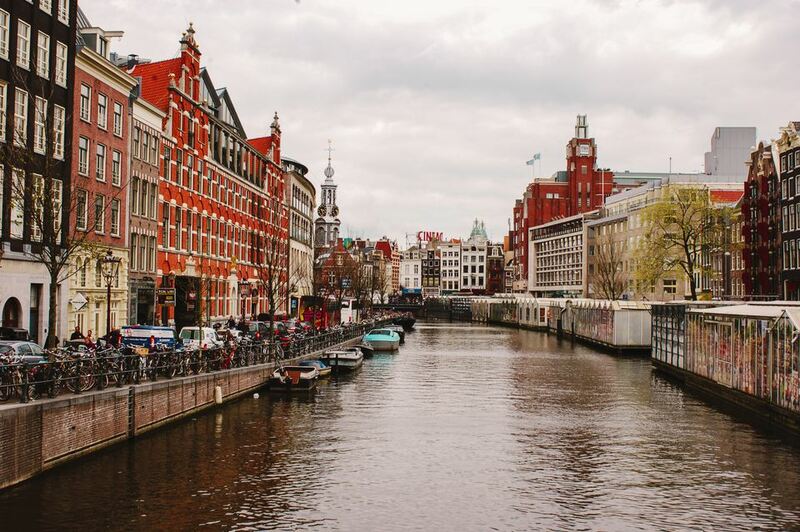 No surprise here: Amsterdam, the capital of the Netherlands, is the most populous city in the country, with over three-quarter million inhabitants. Located in the province of North Holland, it shares the province with other major cities such as Haarlem and Zaanstad (best known as the city of Zaanse Schans). All of these are situated in the heart of the Randstad, a conurbation in the western Netherlands with a population of 7.1 million residents - almost half of the nation's 16.6 million inhabitants. This port city on the banks of the Nieuwe Maas River is the country's number-two metropolis, at least in terms of population; to its many fans, however, Rotterdam rivals the more popular city of Amsterdam for its history, culture, industry and of course football. Don't miss its opulent modern architecture, a spectacular counterpoint to the traditional canal houses of the capital. The Hague not only bears the traces of its 900-year history, it's also a city where history is still made, thanks to its status as a hub for both Dutch politics and international law. With some of the best attractions and more diverse restaurants in the country, The Hague is just a quick sprint from Amsterdam. Don't miss the Mauritshuis and the Gemeentemuseum - two of the top museums in the country - for Dutch Masters and 20th-century art, respectively. Utrecht feels like a small university town, but in reality, this city of 328,000 is the fourth most populated in the country. Located in the eastern portion of the Randstad, the city of Utrecht is the capital of the province of Utrecht, which also contains the lovely medieval city of Amersfoort. The city itself is a favorite of visitors, who relish the unique quaysides of its picturesque canals, not to mention monuments from the Gothic Dom Church to the UNESCO-listed Rietveld-Schröder House, a jewel of 20th-century architecture. Kids love that it's the home of Miffy (Dutch: Nijntje), the world-famous cartoon bunny who's the star of her own children's book series. Eindhoven still has an undeserved reputation as an industrial city full of bland modern architecture - or even worse, just a stopover for low-cost flyers on the way to Amsterdam. In reality, the city is chock full of creativity and innovation at a rate most other Dutch cities can't touch. A prime example is the former Philips business park, Strijp S, which is now a cultural complex to rival the likes of Amsterdam's NDSM Wharf. Tilburg - like Eindhoven - is another city in the southern province of North Brabant, and just like Eindhoven, it's a spunky city full of creativity and innovation, from local businesses to street art. Its historic district, De Heuvel (The Hill), is perfect for a sunny day's stroll; as a former hub of the textile industry, it boasts the country's only dedicated textile museum. Just outside the city is the only Trappist brewery in the Netherlands, Bierbrouwerij De Koningshoeven, where visitors can relax with a beer and beer-themed snacks in the peaceful countryside of Berkel-Enschot. If any Dutch city has it all, it's the city of Groningen. This former Hanseatic city has fantastic architecture from the medieval Aa-Kerk to its critically-acclaimed city museum, a lively cultural scene, excellent food, and restaurants - even its own university and airport (Groningen Airport Eelde). Outside the city, in the same-named province of Groningen, the idyllic, farm-studded countryside stretches north to the Wadden Sea, where visitors will find the Wadden Islands, accessible by ferry from the mainland. Almere isn't considered a tourist destination so much as a suburb of Amsterdam, a comfortable city where residents raise kids and commute to their jobs in Amsterdam. Its history starts only recently since its entire province - Flevoland - was only reclaimed from the IJsselmeer (Lake IJssel) in the mid-20th century. Points of interest do exist in the city, however, the best of which are oriented towards the city's modernity; architecture buffs should be sure not to miss cASLa, a center for contemporary architecture in Almere. The third city in the province of North Brabant to be featured on this list, Breda serves as the provincial capital and has a more conservative character than the other major cities in its province. A lovely city to explore on a sunny day, Breda is full of classic architecture and even has a rare béguinage, a sort of lay convent - more common in Flanders - whose architecture dates from the 16th century. Nijmegen is a contender (with Maastricht) for the oldest city in the country, and its 2,000 years of history stretches from Roman antiquity past its role in World War II to the vibrant university city of the present. Another of my personal favorite cities, it has a distinctive local character and is conveniently close to the major cities of western Germany; Weeze, site of Düsseldorf-Weeze Airport, lies just across the border. Get Your Hands Dirty on an Idyllic Dutch Farm. What Is the Official Currency of the Netherlands? Is Amsterdam in the Netherlands or Holland? Trade in the 17th-century canals for some skyscraper-studded streets.